Bobby Horton's Melody Blog: Smoking Is Cool! Remember when smoking was cool? Yeah, me neither. 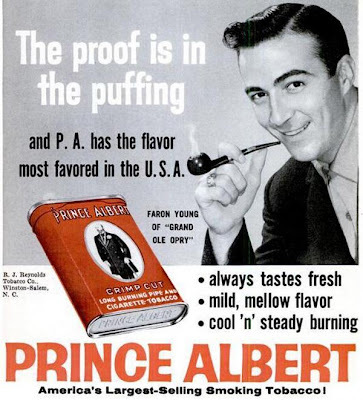 But I'll tell you what is cool--this tobacco ad featuring a pipe-smoking Faron Young! Hey, the proof is in the puffing.